Every year, on the first of December, Christmas trees arrive in New York City. The same families come year-after-year and set up their stands on the same street corners. There is one on Ninth Avenue in Chelsea that inspired me to write SILVER BELLS. I am always so happy to see the people again, to round the corner of West 22nd Street and smell the trees, to feel I've stepped into a grove of pines in the far-north. Yesterday my dear friend and literary agent Andrea Cirillo and I walked from Chelsea to Soho. Along the way we passed other tree stands, and loved seeing this one in the West Village--Christmas trees juxtaposed with the year's last roses. 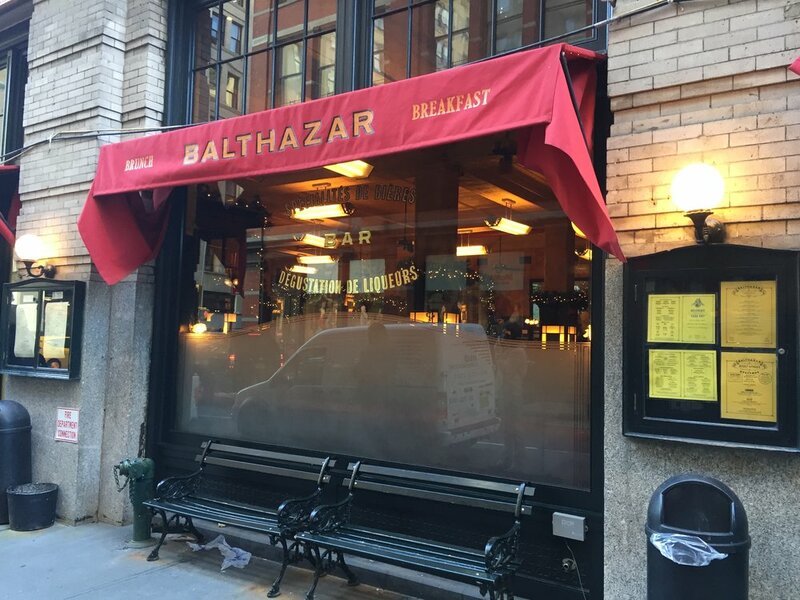 We wound up at a favorite haunt--the always charming Balthazar--to meet my wonderful editor Aimee Friedman for a festive lunch. With Aimee Friedman and Andrea Cirillo at Balthazar.